Currently browsing posts filed under "Collette Chilton"
Let’s spend five days reviewing the latest annual report (pdf) from the Investment Office. Greatest hits commentary on related topics include here, here, here and here. Today is Day 4. We dramatically overpay the folks who work in the Investment Office, primarily Collette Chilton but also Bradford Wakeman. The Record ought to write an article about this. Here are the questions they should ask along with my commentary. a) Both previous president Morty Schapiro and key trustees were in favor of starting an Investment Office and other steps for turning Williams into Yale. c) This deal was made in the bubble years. There is no way that Chilton could find a comparable job paying this much money today. Even for 2006 (when Chilton was first hired), the compensation was excessive. Professionals I quizzed felt that someone with Chilton’s resume — modest compared to others in the field — would be somewhere in the $300,000 to $500,000 range. Consider a presentation by Wakeman to a risk meeting. His content seems sensible enough, but the topic (making a better 401(k) plan for Lucent) has almost nothing to do with running a major endowment. That’s fine, perhaps Wakeman knows about other stuff as well. But I laughed out loud when reading the last slide. Outside experts have noted, and applauded the changes Lucent made to its 401(k) plans. Wakeman is quoting a bunch of vendors who sold things to Lucent, for whom Lucent is a customer, people who will say nice things about Lucent even if (especially if!) they think that the people in charge of the Lucent pension fund are the dumbest of the dumb. And, as best as I can tell, Wakemen is using these quotes without a bullet point of irony. He really thinks (?!) that William Sharpe’s complimentary testimony about Lucent is meaningful information to his audience even though his audience knows that Lucent is paying thousands of dollars to Sharpe’s company: Financial Engines. My hope is that Wakeman is not this clueless, that he showed the slide but made a joke about the reliability of the testimony cited. That, anyway, is the best case scenario. The Record should do an article about Chilton’s (and Wakeman’s and the entire investment staff’s) compensation. Don’t the editors believe in muckraking anymore? I bet that some of the more left-wing Williams professors would provide good quotes, either on or off the record. What should be done? The College ought to close the Boston Investment Office. (Read the whole comment thread for details and background.) Most/all of the senior investment professionals (like Chilton) would decline to move to Williamstown. Problem solved, without any nasty firings or salary cuts. In the meantime, it is hard to take seriously any of the mewlings about the problems of increased income inequality in the US — which is, sadly, a real problem — from our progressives friends on the Williams faculty if they can’t even be bothered to ask questions about the out-of-control salaries/bonuses that Williams itself pays out to some particularly undeserving members of the 1%. Let’s spend five days reviewing the latest annual report (pdf) from the Investment Office. Greatest hits commentary on related topics include here, here, here and here. Today is Day 1. Let’s begin with the good news. First, the Williams Investment Office, led by CIO Collette Chilton, has done a solid job over the last decade, as EphBlog predicted in 2007. The biggest risk issue in any asset management situation is the option value to the asset manager. Will Chilton take on the appropriate amount of risk, consist with her guidance from Morty and the trustees? I hope so. But doing so might not be in her best financial interest. Imagine, instead, that she “shoots for the moon,” that she levers up the endowment and invests in the riskiest stuff available. If she is lucky, she (and the College) will win big. Then the fawning profiles from the New York Times will roll in and she will have the option of starting her own hedge fund and (trying to) generate serious personal wealth. Heads, she wins. And, if it’s tails — if those risky bets don’t pay off, if our endowment performs poorly — Williams loses. Chilton, probably, keeps her job. She blames factors beyond her control. And, it will be hard for anyone to know what really happened. Yale, smartly, hedges this risk by hiring someone like David Swensen, someone whose commitment to the success of the institution is beyond question. Williams could have followed suit, could have selected an Eph Swensen, a younger graduate with finance experience and a deep connection to the College, someone already living in the Williamstown area or eager to move there. Someone committed to Williams for life, and not just until a better job comes along, until the commute to Williamstown becomes too annoying. Such candidates were available. Instead, the College chose Chilton. I hope it works out. It has worked out. I may have overplayed the risk of Chilton pulling a Meyer. And, certainly, given Meyer’s implosion at Convexity among other changes, there are many fewer opportunities for successful endowment CIOs outside of the CIO market. But there is no doubt that Chilton has done a wonderful job of selecting and then mentoring Wattley, someone who is universally praised by the Investment Committee Ephs I have talked to. Wattley is married to Kevin Kingman ’05 and is as committed to the long term success of Williams as anyone. With luck, she will be managing the endowment for decades to come. Third, although I would still prefer that the Investment Office were located in Williamstown, Chilton (and Wattley?) have done a great job in involving students and recent graduates in the office via (at least) three mechanisms. I have spoken to Ephs in all three programs, all of which are well-done. (One suggested improvement is that Chilton/Wattley ought to encourage younger Ephs to network more in the Boston financial community.) If Williams (like Middlebury or Smith) were to outsource the management of its endowment to a place like Investure, these programs would not be possible. See! EphBlog can praise the praiseworthy! Relative to its peers, the Williams Investment Office in general and Collette Chilton specifically is just as competent and professional as, for example, the Wiliams English Department or Career Center. Kudos to Chilton and to the Trustees who selected her. Stand by for four days of (constructive!) criticism starting tomorrow. 1) Should I spend a week dissecting this? Let me know in the comments. 2) If you are the Record reporter assigned to cover this, please be professional by contacting at least one critic of the Investment Office. The last few Record overviews on this topic have been less hard-hitting than the typical high school newspaper. 3) Background readings: one, two and three. 4) I am probably the Investment Office’s least popular Eph, going back to this (brilliant?) blog post 8 years ago. In dollar terms, our added value for fiscal year 2015 was over $100 million. Really? I have my doubts. And it would be pathetic for the Record to fail to determine exactly where this claim comes from. Most interesting omission from President Falk’s letter? Any use of the word “endowment.” If I were Collette Chilton or a member of her staff, I would be concerned. Consider the duties of Suzanne Welsh, Swarthmore’s Vice President for Finance and Treasurer. Vice President and Treasurer Karen Sisson oversees the College’s budget and endowment, as well as Office of Facilities and Campus Services, which covers construction planning, maintenance, sustainability, summer conferences, dining, grounds and housekeeping; Human Resources; the Business Office; and Real Property. Summary: The Boston Investment Office is a $2-$3 million per year waste of money. We don’t need it. Instead of pretending (unsuccessfully!) to be Yale, Williams should follow the practice of similar elite colleges like Pomona and Swarthmore. Have the Trustees pick the major investments. Hire a VP of Finance who, among her other duties, would keep an eye on the endowment. Is President Falk heading in this direction? Unfounded rumors and gossip welcome in the comments! Comments Off on Faculty Governance Seminar: End of the Boston Investment Office? Most interesting single data point in the budget? Spending on “Administration” jumped 24.5% last year, far and away the biggest percentage increase in the budget and the most unusual data point given historical trends. In dollar terms, that seems to be a $2 million increase above the expected rate of growth. What’s the cause? Well, goodness knows that Morty has been adding bureaucrats to the Williams payroll for years. I am surprised that there is any room left in Hopkins Hall! But things like the (relatively) new Zilka Center and the Office of Strategic Planning & Institutional Diversity are not that expensive. My guess is that the cost of the Boston Investment Office is grouped under “Administration” and that the unexpected $2 million is a very rough estimate of its annual cost. Since Collette Chilton and at least some of her staff were in place before June 30, 2007 (the start of fiscal year 2008), the $2 million increase is an underestimate, but there has been other growth during this period as well, so, net-net, we won’t be far off. So, my estimate of $1 million for closing the Boston office is probably, if anything, conservative. Can anyone think of a different category of Administration that would have grown so much between 2007 and 2008? 1) I think that Williams has done less well on these measure of transparency — public info about holdings and proxy voting — over the last few years. Is that connected to the appointment of Collette Chilton as CIO? I don’t know. 2) Alas, these measures of transparency, as desirable as they may be, do not touch on the heart of the issue: information about allocations, benchmarks and managers. 3) I wish that more reporters would bother to understand that much of the debate in the Tufts article is ridiculous moral preening. See here and here for background. As long as your institution puts a lot of money in hedge funds, venture capital, private equity and the like, you can have only a limitted understanding (if at all) of your involvement with Sudan, Tibet, weapons, tobacco or whatever the cause du jour. The tough calls at GM are not that something needs to change but in figuring out exactly what needs to be changed. The same goes at Williams: adjustments (potentially even big adjustments) are needed but getting the details right is key. Making broad, blanket statements might sound macho (e.g., freeze salaries for three years; no hiring, no matter what the circumstances) but that doesn’t make them prudent. 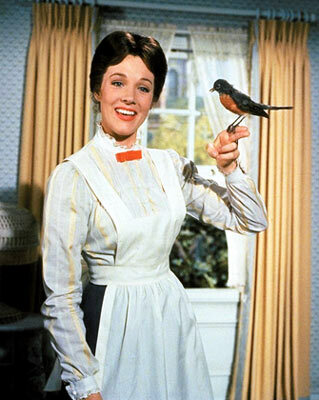 If nothing else, a spoonful of sugar might help the medicine go down. You mistake me for Mary Poppins. 1) I agree that someone in authority at Williams (Morty, Bill Lenhart, etc) needs to use sugar. Indeed, one of the reasons that I am so disappointed in Morty is because he is leaving Williams at precisely the moment that his decade of political capital ought to be spent. It will be much harder for his successor to make X cuts than it would be for him to do so. But (fortunately!) I am not in charge. 2) My role, in this context, is to educate people about the details of what is going on (and your various contributions are much appreciated in this regard) and to create some intellectual space for those seeking deep cuts. Note the formation of the “Ad Hoc Advisory Committee on Budget Priorities.” [Love the Newspeak! More accurate name would be “Committee for Major Budget Cuts.”] As always, the key to knowing what a college committee will do is to look at who is on it. Think Professor Ralph Bradburd (a great guy and my teacher for microeconomics) is on the committee for sugar purposes? Think again. One reason that I enjoy staking out these “macho” positions is that, by putting this stake in the ground of public discussion, it will make it easier for the squeamish to live with the cuts to come. 4) Collette Chilton gave an interesting talk in Boston last month. She mentioned that the College’s endowment was at $1.4 billion. She pointed out that, although there was a major drop from its peak of $1.9 billion, people should not panic. After all, the College’s endowment was at $1.4 billion in 2005 and in 1999. This is true but horribly misleading. The difference between now and then is that the College spends much more out of the endowment now then it did in 2005, much less 1999. If you think that endowment spending then was prudent (I think it was excessive), then you are compelled to reduce current spending to that same level. Otherwise, you are merely stealing from the future to pay for the present. We need to cut the budget by tens of millions of dollars. Without touching head count or financial aid, that means cutting almost everything else you can come up with. Three years ago, Morty/Trustees decided that Williams was going to emulate the Harvard/Yale model of endowment management, hire a high-priced chief investment officer, allow her to assemble a staff, and then let her make a decision. I offered thoughts on this plan two years ago. Short version: Williams has done great by allowing a trustee committee guide the endowment into the best deals. Why mess with what works? Perhaps hiring a single professional to support that effort is a good idea. A new investment office, much less one located in Boston, is not. A lot of institutional investors think they are emulating Yale, but they are not. Most endowments use fund of funds and consultants, rather than making their own well-informed decisions. You can divide institutional investors into two camps: those who can hire high-quality, active-management investors and those who can’t. If you are going to invest in alternatives, you should be all in, and do it the way Yale does it — with 20 to 25 investment professionals who devote their careers to looking for investment opportunities. Or you belong at the other end, with a portfolio exclusively in index funds with low fees. If you’re not going to put together a team that can make high-quality decisions, your best alternative is passive investing. With a casual attempt to beat the market, you’re going to fail. If someone looked at what we’re doing superficially and made superficial attempts to copy us, then I have little sympathy for them. What would Swensen say about Williams? Tough to know. The Williams investment office in Boston has 7 people. But one of those is a secretary and two are junior analysts — both of whom seem to be brand new. Does the office explicitly hire these folks for one or two year positions? Neither is an alum, although at least one alum had this position last year. So, we are down to 4 experienced professionals (Chilton, Donovan, Joeng and Wakeman). Does that sound like Swensen’s “20 to 25 investment professionals who devote their careers to looking for investment opportunities?” I don’t think so. Again, this is not an anti-Chilton screed. I said two years ago that Chilton’s reputation was as a “solid professional” and I see no reason to change that judgment. Indeed, I was speaking to a (different) rich alum the other day who reported that he was “pleasantly surprised” by his interactions with Chilton. But, whatever Chilton’s merits, there is no reason for the College to maintain a Boston investment office. We need to cut costs and that is a good place to start. I don’t want anyone to be fired. The College should just close the office and invite all employees to move to Williamstown. Some will, and some won’t. There is a larger discussion to have about how Swensen’s vision applies to Williams, but that is a debate for another day. HARVARD will have to take a “hard look at hiring, staffing levels and compensation”, wrote Drew Faust, the university president, on December 2nd in a surprise letter to Harvard deans. The Harvard endowment, which was worth $36.9 billion at the end of June, has since lost at least 22%, says Ms Faust. The university should brace itself for losses of 30% in the fiscal year to next June, she adds, although even that may prove far too optimistic. Its ambitious plans for new buildings on the other side of the Charles river seem likely to be scaled back, or at least slowed down. Harvard is not alone. At Stanford University, the president, provost and other senior executives have taken a 10% pay cut. There is speculation that its endowment, which at $17 billion in June was third only to Harvard’s and Yale’s, has performed horribly since then. Many smaller endowments—only six were bigger than the $8 billion that Harvard says it has lost so far—have suffered too. Williams College has seen its endowment plunge by 27%, from $1.8 billion to $1.3 billion, while Wesleyan University’s has tumbled by 24% to $580m. I have never seen a 27% number from Williams or even an official estimate of $1.3 billion. Will Stack ’11 reported the $1.3 billion number, as did the Record. It is projected that the College endowment has dropped precipitously since June 30 because of its 48 percent exposure to equity markets, which have been in sharp decline. Although no exact figure has been calculated as to its current value, President Schapiro estimated that the endowment is probably worth around $1.3 billion today, a $500 million, or about a 28 percent drop since the last time it was precisely calculated on June 30. “If we have $1.4 [billion] now I’d be shocked; it’s probably $1.3 [billion],” Schapiro said, noting that part of this decrease is due to the College’s withdrawals of 80 or 90 million dollars a year, about 5 percent of the endowment, for operational expenses. Keep track of two different types of decreases in the endowment: falls in the value of investments and withdrawals for spending. The Economist is only discussing the former and yet is using the $1.3 billion number that includes both categories. Comparing Harvard’s 22% fall (all because of investment losses) with Williams’s 27% fall (both losses and spending) is apples and oranges, or perhaps crabs and clementines. The real uncertainty is in the portion of the endowment that is not in publicly traded securities. Williams (and other schools) don’t know what is going on with these investments. In fact, even the professional managers in charge don’t really know! Assume that you are running a venture capital firm and have used $500 million to buy a company last year. Williams (along with 9 other endowments) invested $50 million. How much is that investment worth now? No one knows! Rant continues below. One comment from Will Slack’s ’11 excellent summary of Morty’s talk on the College’s financial situation deserves a post of its own. How will this change the endowment management? Thank goodness for Collete Chilton. Without her, we might be down 40% this year. Hedge funds are not asset boosters; they are compensation schemes (and I have no clue what this means). Williams is buying more commodities, which are not hedges in bad times. However, we’re still being conscientious. Williams had the chance to buy into a timber thing, and chose not to (Killing the Amazon, etc. ), forgoing real profits. It’s not only how you spend the money, but how you raise it..
1) I love the moral preening. Williams did not go for the Amazon timber deal so this means we have a conscious. Hah! Does Morty not notice that we have five percent of the endowment in emerging market equities and, most likely, some of those investments are in Brazilian companies? And not just warm and fuzzy Brazilian companies that sell native-made tchotchkes, but the sort of companies that are chopping up all those trees in the Amazon? Of course Morty (like me) does not know anything about the specific companies that the College’s managers invest in, but unless Williams has placed specific restrictions on its managers (unlikely), you can be sure that we have investments in unsavory companies around the world. Not investing directly in some Amazonian timber does not mean that we aren’t profiting from logging and other depredations that Williams People Do Not Like. Recall the similar preening over Sudan divestment. 2) With regard to “compensation schemes,” Morty is probably referring to the fact that hedge funds generally charge much higher fees than traditional asset managers. 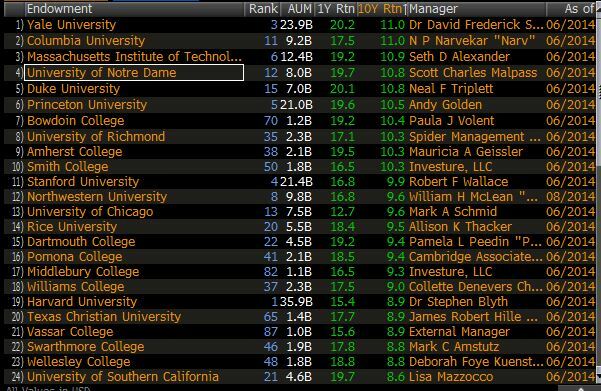 (The College has 10% of its endowment in “Absolute Return” strategies, almost all of it in hedge funds. The compensation scheme for all the of the College’s Private Equity (9%) or Venture Capital (6%) allocations are almost certainly similar.) These fees generally have two parts: a management fee (1%-2%), which is just like the fee that you pay on your mutual fund, and a performance fee (around 20%), which is only paid on the profits over a specific benchmark. People who argue that hedge funds are “compensation schemes” generally believe that those fees are too high, that hedge funds don’t perform nearly well enough to justify taking such a large portion of the profits and that much of their success is a bull market phenomenon. The same arguments are made against private equity and venture capital. But, guess what! Morty can solve this “problem” easily. Just pull all the endowment money out of hedge funds, private equity and venture capital. Problem solved! But recall (pdf) how trustee Dave Coolidge ’65 describe things last year. We set our allocation targets for each asset class annually and over the last few years have increased our allocation to hedge funds, real estate, and international equities, while reducing our allocation to domestic equities and bonds. The Investment Committee recently completed a thorough review of the asset allocation policy for the endowment. The Committee adopted a revised policy that will continue to provide an appropriate return for the College with less risk by diversifying into more asset classes. 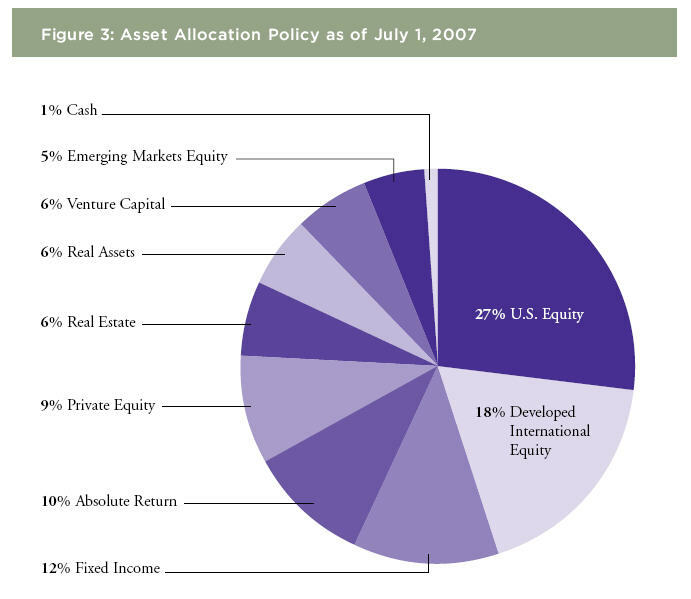 Figure 3 shows our summary asset allocation policy as of July 1, 2007. So the College, just last year, decided to add more money to hedge funds, organizations that Morty now describes as little more than “compensation schemes.” Did Morty miss that meeting? Has recent experience caused him to change his mind? Will he be proposing that the College decrease the percentage of the endowment dedicated to hedge funds in the future? I doubt it. I think that this was Morty as wise guy rather than wise man (to steal Mark Taylor’s put down), Morty playing to the crowd and criticizing hedge fund managers even though he (and Williams) remain eager clients. 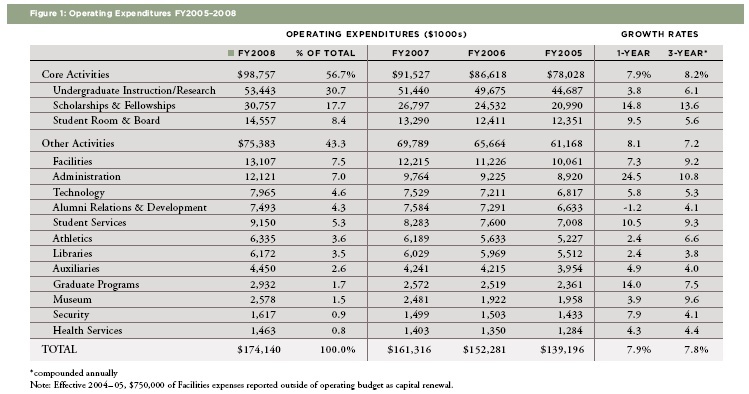 3) Is it really true that, without Collete Chilton, the Williams endowment would be down 40%? No. That’s absurd. Morty can only get away with howlers like this because there is no one in his audience knowledgeable enough (and willing) to call him out. I doubt that this talk impresses members of the Investment Committee. Some of whom, I have heard, are not Chilton’s biggest fans. Leaving aside asset allocation, Chilton has not had time to significantly change many of the specific managers that Williams has hired within the different asset categories. You really think that, first day on the job, she fired all the College’s old managers and hired a bunch of new ones? Again, Morty is 95% a straight-shooter, more honest and direct than the vast majority of college presidents. Moreover, every president needs to hedge a bit, praise in public while criticizing in private. But ridiculous claims about Chilton’s contributions are not helpful. They cause financially sophisticated alumni to doubt everything else that Morty has to say, to wonder if something else is going on, to worry that Morty is too-invested in his let’s-copy-Yale-and-hire-a-Swensen-clone plan to realize that the whole scheme is a mistake. Those are paraphrases. Although I have a reputation as a Chilton-critic, I was truly surprised at the depth of this alum’s dissatisfaction. Perhaps he is an outlier. Perhaps all the members of the Investment Committee are, with Morty, thanking goodness that Collette Chilton is managing the Williams endowment. My position is the same as always: Williams should close the Boston investment office. It is too expensive and serves no necessary purpose. No one, least of all Chilton, should be fired. They should all have the option of moving to Williamstown. With luck, most of them won’t. A Eph working in finance writes about a recent Record interview with Morty. I’m shocked. I had no idea that Collette had lost so much of our endowment ($500M+). Plus, Morty sounds like he’s panicking. The fact that he doesn’t have a good grasp of the school’s finances AND that he used the phrase ‘brink of bankruptcy’ in a Record interview has me seriously reconsidering Morty’s competence at a time we need someone good at the helm. Either Morty is playing up the situation a little to try and good more donations or the college has seriously overextended itself. 1) You shouldn’t be “shocked.” With an 50% allocation to global equities, it is impossible for the Williams endowment to escape serious damage during a market meltdown. See our previous discussions. So, there are no plans to lay off any faculty or staff? If we get to the brink of bankruptcy, who knows what’s going to happen? But as things are going, no plans for that … We come up with an attrition rate of seven faculty and 10 staff per year, which is lower than what it’s been. All over American outside of academia, people are being fired. Even within academia they’re being fired left and right. We’re the major engine of economic activity in the northern Berkshires. We talk all the time about how it’s not just the faculty are educators, but the staff as well, and they need us most when many of their partners or spouses are being laid off. Is this the time when we should lay them off too, or are we serious about the family and the community? I think we’re serious. Morty is making it clear that, if the endowment levels off at $1.3 billion or above, there will be belt-tightening (no more visiting professors) without real pain (lay-offs). But, obviously, if the endowment falls further or stay flat for long enough (the Japan scenario), all options are on the table. 4) It’s somewhat frustrating that some people (not this Eph) perceive me as a big Morty critic when, in fact, I am a huge fan. 95% of the decisions that Morty makes are correct. And the 5% that (I think) he gets wrong are often more a matter of tactics than ultimate goals. Yet I write much more about the bad staff than the good stuff. Let me rectify that my pointing to that Record interview. Read the whole thing. Morty is right about the challenges Williams faces and the best methods for confronting them. 5) The more subtle question is: What signs/decisions would make me rethink my faith in Morty? What evidence would falsify my hypothesis that he is a great Williams president? An easy question! A failure to start cutting costs in a serious fashion. Although it may be too late to do much with the 2008-2010 budget, Morty needs to start making tough decisions now that will contain the operating budget to zero growth for the next two years. If he doesn’t, I’ll start to worry that Morty is a just great fair weather president. When tough choices were called for, he failed to make them. Let’s all hope it doesn’t come to that. Popperian falsification is much more fun in theory than in practice. The last major bear market in the US bottomed on October 8th, 2002. How did things look to Williams on that date? See here. The College’s endowment has decreased by approximately $300 million since June 30, 2000. As of June 20, 2002, the College’s endowment stood at $1,033,983,766, while total investments, including the endowment and other miscellaneous financial resources, were valued at approximately $1,189,003,764. Christopher Wolf, manager of investments and treasury operations for the College, acknowledges the recent decline in the value of the endowment, but also “prefers to focus on the long-term.” Within the last 10 years, the College received a compound annual average return of approximately 15 percent. Indeed. But spend enough time in a bull market and your expectations have a way of changing. Is it plausible to assume that new gifts (including capital campaigns?) will equal 1% of the endowment annually? I don’t know. The Finance Committee of the Board of Trustees is charged with managing the disparate assets that belong to the College that are generally referred to as the endowment. While planning to increase fundraising efforts to support campus renovations, the Committee expects the endowment to earn nine percent interest each year despite the current state of the nation’s financial markets. The College now only forecasts 8%. Are we more realistic? Depends of what inflationary expectations are built into that nominal forecast. If the old inflation expectations were 4%, the forecast real returns are unchanged at 5%. “Due to our financial strength and extensive alumni network, the College has been able to invest in world-class money managers over the years, including private equity partnerships and hedge funds,” said Wolf. Exactly right. In the old days, connected trustees ran the endowment and made sure that Williams got into some great deals. Now Collette Chilton runs the endowment. Do the trustees and other alums in finance spend as much time on the endowment as they used to? No. Do they work as hard to get Williams into the best deals? Maybe, maybe not. The less power/responsibility you give someone, the less dedicated to the project they become. At what point will Williams consider closing the Investment Office in Boston and moving that responsibility back to Williamstown? You don’t need to fire anyone. Employees ready to move would be welcome to do so. But, if we are serious about cutting costs, then high-priced Boston real estate is a good place to start. The Investment Office would function just as well (and perhaps better) in Williamstown as it does in Boston. Has the College done enough saving for a rainy days in the 6 years since? Not that I can see. The College was smart (or, at least, accurate) to be “optimistic” at the very bottom of a vicious bear market. Is Williams optimistic today? Should it be? Alumni participants will be Paul Isaac ’72, principal of Cadogan Management, and James Lee ’75, vice chairman of JPMorgan Chase & Co. and Co-Chairman of its Investment Bank. Campus participants will be Collette Chilton, chief investment officer, Gerard Caprio ’72, professor of economics, and Kenneth Kuttner, professor of economics. Moderating the session will be Stephen Sheppard, professor and chair of economics. 1) Does Jimmy Lee really look like an alligator? 2) Attendees should feel free to borrow some questions from here, especially 2) and 4). 3) Again, the most important financial question facing the Williams endowment is whether or not to rebalance. What is the most important financial decision facing Williams right now? Whether or not to rebalance the portfolio because of market turmoil. Recall our discussion of the College’s asset allocation. Williams has 50% of its endowment in equities, slightly more than half of that in the US, benchmarked (I think) against the Russell 3000. You can check the performance of the Russell 3000 by looking at its exchange traded fund, IWV. Assume that the College met its asset allocation plan as of June 30th. That would imply an investment of approximately $900 million (50% of the $1.8 billion endowment) in global equities. Given weighted losses of around 31% and ignoring either over or under performance by the College’s investment managers, this means that the College has lost around $300 million in its equity investments in the last 15 weeks. Yet, today, Chief Investment Officer Collette Chilton is not worried about the money that has been loss. She is focused on what the endowment should look like going forward. Should the College rebalance in response to these dramatic swings? Should it buy more stocks to bring the actual allocation back to the target? Yes. Will it? Depends on if Collette Chilton knows what she is doing. Yale CIO David Swensen tells the story (page 329 in Pioneering Portfolio Management) of Yale’s response to the stock market crash of 1987. Yale bought stocks and sold bonds in order to bring its asset allocation back in line after stocks had fallen and bonds had risen. Swensen explains how disciplined adherence to a long-term asset allocation plan forces endowment managers to buy low and sell high. He also points out that this is very hard to do. The natural reaction after stocks fall is to sell. Assume for the moment that other parts of the Williams endowment have stayed constant. (This is almost certainly false.) The 30% fall in equities means that, instead of having 50% in equities overall, Williams now only has 40% — $600 million out of a total endowment now at $1.5 billion. We need to invest another $150 million in equities to get back to 50%. This is what it means to buy low. Williams could do this via futures at relatively low cost, without (temporarily) cutting back on other investments. Are we doing that? I doubt it. Now, to be fair, it is also reasonable at this point to stand pat. Other parts of the endowment are probably down significantly as well. Williams may be down $600 million for the fiscal year at this stage. 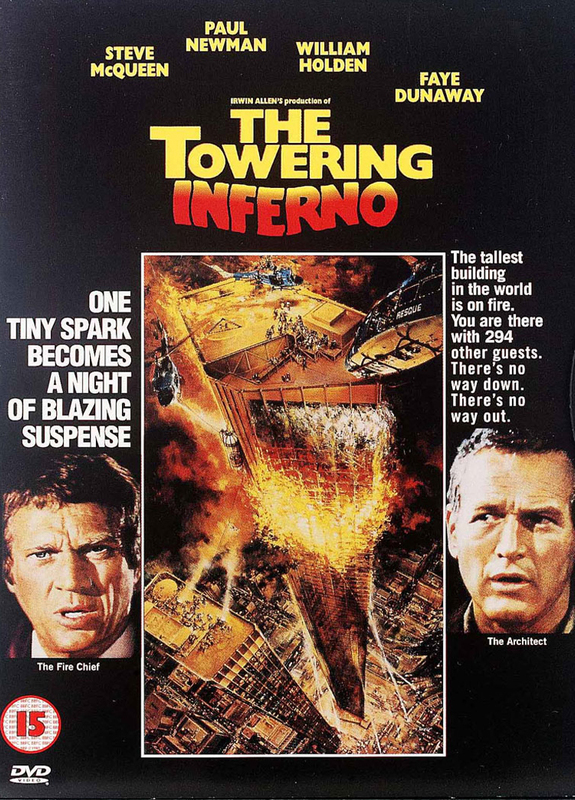 (That’s a terrifying topic for this week-end’s meeting of the Trustees!) If true, then our $600 million exposure to equities is consistent with the asset allocation target of 50%. In that case, there is no need to rebalance. Wick Sloane ’76 writes with questions about the endowment. I have answers. I’m sure there’s a hard way to do this. Then, there’s the easy way: Ask David. Indeed! Questions are always welcome. What is the asset allocation of the Williams endowment? How much bonds, equities and then the fancy stuff — hedge funds, private equities and all? Page 3 of this pdf provides the answer. (Thanks to reader DB for the graphic. Click for larger version.) 50% in global equities will not have generated very good returns in the last few months. 12% in bonds (fixed income) may seem low but is consistent with the advice offered in Pioneering Portfolio Management by David Swensen, CIO of the Yale endowment and far-and-away the most successful endowment manager in the world. Private equity, venture capital and absolute return make up 25% of the portfolio. It is tough to know whether the 12% in real assets (commodities?) and real estate is invested passively, just to get exposure to these asset classes, or in hedge funds which are trying to beat some passive index. More transparency please. An acquaintance mentioned that Williams recently did a review of its asset allocation, perhaps in conjunction with the hiring of CIO Collette Chilton in 2006. He even mentioned the name (which I forgot) of the consultants who worked on it. It would be interesting to see a copy of the report that was produced. Overall the asset allocation is reasonable, although still quite different from that of Yale. Is Collette Chilton smarter than David Swensen? Time will tell. Since this market adjustment, has the Williams endowment gone up, stayed the same, or gone down? The only public data we have are the results for the endowment for fiscal 2008, ending June 30, 2008. The endowment was down 5%. The members of the investment committee certainly receive (or could receive) quarterly updates. You should call the investment office and ask to see the same reports that they get. Tell us what happens! Why, you will ask in one of your delightfully vilifying comments, am I dumb enough to ask? Glad you asked. If an institution with no plans for substantial growth is fortunate enough to have an endowment about 18 times its operating budget, what is the appropriate risk position for the endowment? Why not put it all in inflation adjusted US Treasuries, count your blessings, and sit down on a log with a few students? Totally too conservative? The standard answer is that the expected life of the endowment is forever, so there is no need to be “conservative.” The College would rather average 8% real return per year (with some very bad years and very good years) than 3% over the next 50 years. It is precisely the wealth of Williams that allows it to be so risk-seeking. If occasional years of down 25% are the price to be paid for this excess return, then so be it. The trickier issue is just what risk-seeking really means in this context. Swensen has moved 29% of Yale’s endowment into real assets. (Background discussion here (pdf). Why is Williams at 6%? Perhaps Collette Chilton knows something that David Swensen does not . . .
OK, 15% in equities of varying sorts. Even I know that the amount anyone has in equities should not exceed by one cent what that person/institution can afford to lose. So, by definition, if Williams are saying this crisis has been a crisis for Williams, well, shouldn’t the trustees on the investment committee resign? If the endowment went down enough to have everyone in a panic and, as Ephbloggers say, to end the days of new buildings, then, wasn’t too much invested in equities? Meaning, more than Williams could afford to lose. In the context of Columbia’s endowment, Professor Ralph Bradburd is more sanguine. In the current volatile economic climate, it is hard to peg exactly how Columbia’s endowment has fared, but Bollinger acknowledged that “we’re not doing as well as we did two or three years ago.” However, economic indicators have dropped sharply lately—last week alone, the Dow Jones Industrial Average dropped by 7.3 percent and the S & P 500 by 10.3 percent, the worst week in seven years. In the short term, that doesn’t spell disaster, according to Ralph Bradburd, an economics professor at Williams College, who studies higher-education finance. That’s because universities typically spend from their endowments at a constant rate each year, which takes into account both sluggish and strong years. What happens if the Williams endowment is down 25%, and then stays down for several years? How likely is that scenario? Tough to know. I have been a bear since 1994, so don’t look to me for guidance. If I were a trustee, I would be concerned. I would give serious thought to delaying the renovation of Sawyer for at least a couple of years. There are 100 odd educational endowments that are comparable to Williams. As far as I know, our endowment was at the very bottom in terms of performance last year. Cause for concern? Perhaps. But there is no excuse for the lack of transparency in endowment allocation and performance. Why keep secrets if you have nothing to hide? Because Williams’ cost of equity is higher (i.e. return on the endowment) than its cost of debt. Especially if the interest paid is tax exempt. Come on Kane, don’t you work in finance? This is the logic of the condo-flipper in Fort Myers. As long as the endowment keeps on going up by more than the interest we pay on the bonds, Williams has a money machine! Why not just borrow $100 million and invest it in the endowment itself? We pay 3% in interest but make 10% in returns. Presto! The 7% spread means that Williams has made $7 million, and at no risk! Even better would be to borrow $1 billion and invest in the endowment. Then we make $70 million a year, enough extra to make tuition free for all! The problem, obviously, is that endowment returns aren’t always positive, as folks with more than a year or two in finance realize. Leverage is a dangerous thing, for both hedge funds and small liberal arts colleges. How much interest does Williams pay on these bonds? If it is 3%, and the endowment lost 5% in the year through June 30, 2008, then this magical bit of financial engineering has cost the College $8 million. Well played, Collette Chilton! Now, that is not fair. Williams was borrowing money long before Collette Chilton showed up. She almost certainly does not set policy on her own. The Trustees (along with the Investment Committee) sign off on any new debt. Yet the central fact remains that borrowing money when you have $1+ billion in the bank is a suspect exercise. In a bull market, leverage makes you look like a genius. In a bear market, it blows you up. So, for starters, how about some transparency from the College? How large is Williams’ debt? What interest rate does it pay? What are the plans for reducing/increasing it? UPDATE: Thanks to HWC for pointing out that the College’s Form 990 includes relevant (albeit out of date) data. Look at page 14 of this pdf. We have the Series, the issue date, the issued amount and the amount outstanding (both in millions). Call it $240 million in debt. Assume the interest rate is 3%. (Is that reasonable?) Since the endowment lost 5% last year (and is almost certainly down again since June 30), we are looking at a $19 million loss. Time to pay-off the debt or double down? UPDATE II: Thanks to HWC for this link to the College’s financial statements. Curious how the Williams endowment is doing? David asked about this earlier, and even came up with a forecast, but now we have some actual numbers. The Record reports, in an annoyingly vague fashion, that the total value of the endowment dropped 5% between June, 2007 and June, 2008. There is no information at all as to how much of this loss can be attributed to increased expenditure, a slowdown in donations, or market losses. The Record reporter throws in references to general market events that may or may not have had a direct impact on endowment performance. 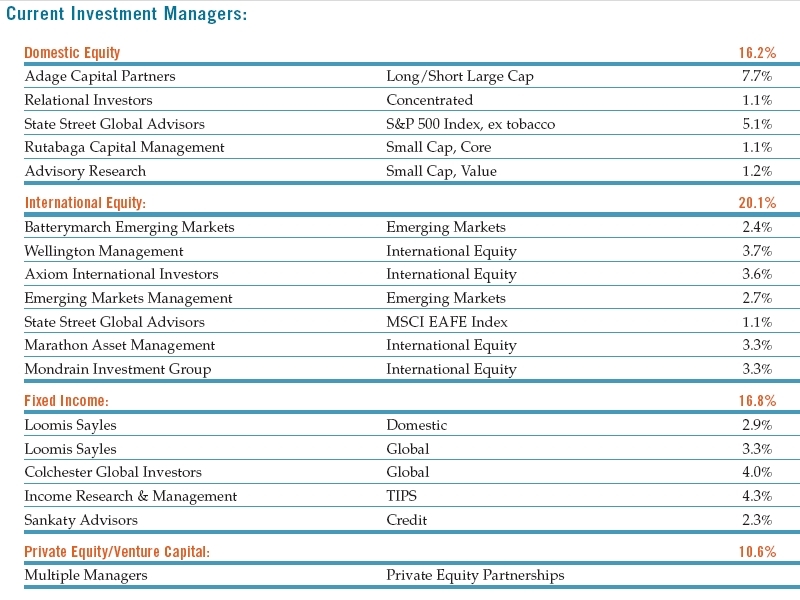 It would be nice to see a little more transparency regarding the actual asset classes the endowment is invested in, and how each segment of the portfolio performed. Also, it would be interesting to see what Collete Chilton might have to say about the College’s investment strategy, lessons learned in the last year, or ongoing hiring/firing of money managers. Such transparency would be far more helpful than the kind of vague comments we get from Ms. Chilton. I suppose it’s too much to ask reporters to actually dig for answers as opposed to merely taking down dictation from administrators. I mean, yes, I realize that Record writers are basically unpaid volunteers working on tight deadlines, but this article betrays an unbelievable lack of curiosity on the part of the Williams Record. The endowment is incredibly important to the functioning and growth of the college, and yet I have seen press releases that are more incisive than this write up. It is tough, but not impossible, for outsiders to know what is going in the Williams endowment. Start with the basic asset allocation as described on page 3 of this pdf. (Comments welcome on whether or not this is a sensible plan.) Find benchmarks (publicly traded ETFs) for each of the asset classes. We don’t know if the managers picked to run Williams 27% allocation to domestic equities will do better or worse than, say, the Russell 3000 but, as a first pass, we can just assume that all managers meet their benchmarks. News of windfalls on Wall Street have become as common and unsurprising as rain: traders collect $50 million bonuses, top hedge fund managers haul in more than $100 million in a single year. In such gilded company, annual compensation of $1.3 million looks paltry. Yet that was how much David F. Swensen took home in 2005 for supervising Yale University’s endowment, now worth $20 billion. Mr. Swensen, one of the most well-regarded investors in the country, never appears on lists of the most highly paid money managers. Nor has he made headlines by buying expensive homes in New York or Palm Beach or by frequenting cocktail and charity circuits. But in the competitive, performance-driven world of money managers, Mr. Swensen can boast of an extraordinary record. During his 21 years as steward of the Yale endowment, Mr. Swensen has generated an annual compound growth rate of 16.3 percent, beating the performance of Harvard’s endowment and that of every other major school in the country over the same period, according to data compiled by Yale. Over the years, he has also routinely rebuffed lucrative offers to leave Yale and to cash in on his expertise in a much grander fashion. “People think working for something other than the most money you could get is an odd concept, but it seems a perfectly natural concept to me,” says Mr. Swensen, a slender, soft-spoken man who looks and dresses like a high school teacher. “When I see colleagues of mine leave universities to do essentially the same thing they were doing but to get paid more, I am disappointed because there is a sense of mission,” in endowment work. But within the clubby money management world, a Yale investment is akin to a seal of approval, and managers avidly court Mr. Swensen. They describe him as a thorough researcher who, with his team, scrutinizes his choices intensely before committing money. In other words, it is much easier for Yale to invest in an opportunity because the investment manager can then use Yale’s presence to court other investors. And, since Swensen is smart, he uses this leverage to get a much better deal for Yale than is available for others. Could Swensen get the same sort of access if he didn’t have the “Yale” on his business card? I doubt it. Like many hedge funds, Farallon charged a 1 percent management fee and took 20 percent of the profits. “David told us: ‘I don’t see why we would give you any money. You might shut down after a bad year,’ ” Mr. Steyer recalled. It was only after Mr. Steyer swore that he wouldn’t shut down — and that he wouldn’t immediately charge Mr. Swensen 20 percent of his profits and other fees — that Mr. Swensen gave Mr. Steyer some of Yale’s money. The Eph connection to any of this? See below. Williams has a new Chief Investment Officer. Williams College has put the final piece of the upper level management in place, hiring Boston-based investment executive Collette Chilton as its first chief investment officer to oversee its roughly $1.5 billion endowment. Chilton is president and chief investment officer of Lucent Asset Management Corp., which manages the pension and 401(k) funds of the telecom corporation Lucent Technologies Inc.
Hmmm. I have been somewhat suspicious of the move to hire a CIO. Why mess with a system that is working well? Moreover, as Trustee Laurie Thomsen pointed out at the Boston Alumni meeting in April, the real secret behind the success of the endowment has been the committee of Ephs who have run it. They have ensured that Williams gets into all the best deals. Presumably, this will continue, but I worry. Chilton certainly has the sort of resume that one would look for. (She was probably due to be forced out of Lucent as Alcatel takes over in the next year.) And, even better, her non-trivial salary will make other administrators seem cheap by comparison. She talks sense in this interview. CPEE: What impresses you in a job candidate? Chilton: People in an interview situation need to have a clue about what they are talking about! You would be surprised at how many people just haven’t done the research and don’t even understand the job they for which they are interviewing. People come in and don’t really know the role investment managers play within a company, or what assets we oversee–really basic stuff. One thing not to do is to come in and say, “I’ll take this entry-level job for now, but in two years I should have your job!” Job candidates have to have a clear, realistic sense of what they want to do, both short-term and long-term. The post was created by the reorganization of the school’s upper-level management, which has been ongoing for a year. Chilton said that having an investment office is important when you have enough assets to oversee. “Having someone whose responsibility day in and day out is to oversee and invest it and all the myriad details that go with that is more than a full-time job,” she said. Then why was the endowment’s performance over the last 10 years so outstanding? Perhaps. As long as the focus continues to be on getting access, via plugged in Ephs on the Finance Committee, to the best deals, I am satisfied. Indeed, Chilton might play a useful role as score-keeper, reporting on which deals have paid off the best for the College. Rich Ephs can be quite competitive in their desire to do well for Williams. At about $1.5 billion, the college’s endowment is one of the largest in the nation for a small liberal arts school. There are some limits to how the money can be invested. In June, the trustees chose not to invest in 28 multinational corporations that do business in Sudan, as part of an effort to stop the government-sponsored genocide in that country’s Darfur region. Gibberish! The Eagle reporter, Chris Marcisz, is smarter than this. The trustees chose not to invest directly in these companies. The College has so few direct stock holdings that this doesn’t matter. The College did not promise to stop investing in hedge funds and other pooled vehicles which themselves invest in companies which do business in Sudan. For all anyone knows, those hedge funds have millions of dollars invested with those companies. The entire Sudan Divestment schtick is moral preening, devoid of investment substance. Best part is that Alcatel — the company that is in the process of buying Lucent and, I think, indirectly leading to Chilton’s departure — is on the Sudan list! Maybe Chilton quit for moral reasons! She couldn’t stand the thought of working for a company which does business with the government of Sudan. She’ll be based in Boston and will have an office at Williams. EphBlog is powered by WordPress and delivered to you in 1.402 seconds using 46 queries..